In both cases a pop-up window will open where you will select arrival and departure date, reservation status (confirmed or an option, which is a provisional status), sales channel (for channels that do not offer two-way sync or for agencies you might work with), guests (number of adults and children and their names), rates per night, discounts, additional services and notes. Important note: each reservation can be modified / edited later on. To modify an existing reservation just click on the reservation on the Calendar and select "Edit". 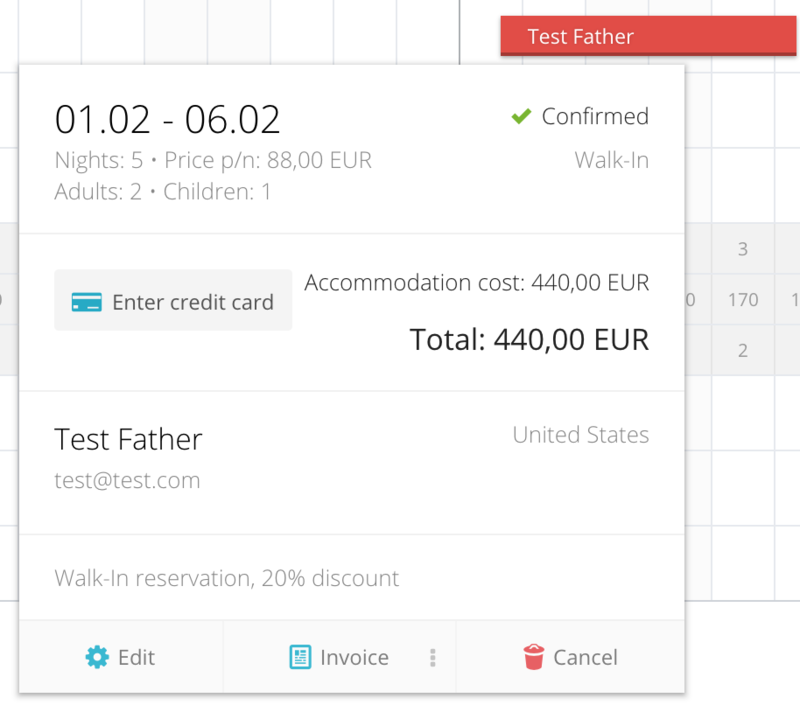 In the same pop-up window you will have an option to Cancel reservation in the bottom right corner.